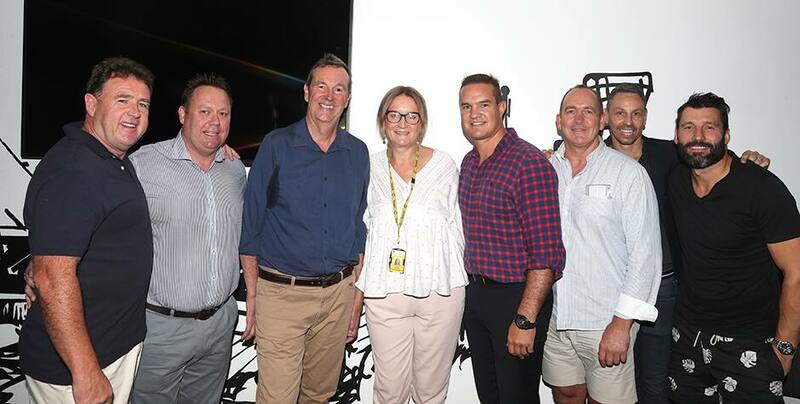 Jackie Emmerton celebrates her 25-year anniversary with some past players of the club. THE Melbourne Football Club would like to congratulate Jackie Emmerton on 25 years of service with the club. On Thursday, a morning tea was held to commemorate Emmerton’s time at Melbourne, with past and present players and staff members in attendance. Speeches were made by Chris Connolly, Russell Robertson and Brad Green, reminiscing on some of the fun times had with Emerton at the red and blue. The celebration continued with some iconic Melbourne names in attendance, including former coach Neale Daniher. Emmerton has had an impact on a wide range of people since joining the club in 1994 as the secretary/coordinator for the football department. The much-loved figure has played a crucial role in liaising between the administration and football sides of the business over her tenure. Emmerton has grown in her time at Melbourne, accepting a role as the gifting and relationships manager in 2012, utilising her extensive network and knowledge of the club to help grow this important area. Building on her previous role, Emmerton now manages the fundraising and past players of Melbourne. In 2013, Emmerton was recognised for her significant contribution, becoming the first female to be awarded a life membership at the Melbourne Football Club. She was a devoted member of the football department from 1994 to 2012 and has been working in the club’s administration ever since. Emmerton has seen plenty of change throughout her time at the club with seven presidents, eight CEO’s, 10 men’s coaches and eight men’s captains coming and going throughout her journey. The Demons have played 568 AFL games since Emmerton came on board, with 185 players taking the field. Emmerton's dedication to the job and passion for her work is admirable and the Melbourne Football Club looks forward to having her onboard for many years to come.